COFFEE CAN. 1/8 CUP SCOOP. I love love love love iced coffee, and I feel a little guilty anytime I buy a cup at a coffee shop or a carton at the grocery store. With a little research, I know I can make my own iced coffee and save money. For some weird reason, I’m not fond of cooled hot-brewed coffee. I’m sure the odd taste is a figment of my imagination. TWO HEAPING SCOOPS IN A BOWL. So, I did some research. Iced coffee can be made several ways. 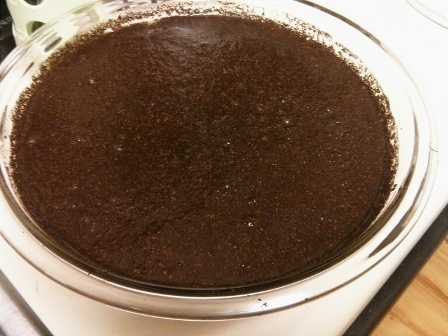 Apparently, cooling off hot-brewed coffee is one method — just make sure to double the grounds. Once the coffee is cooled and poured over ice cubes, the double strength mixture won’t become watered down when the ice cubes melt. Well, that just makes sense. The method I’ve been using is pretty simple. 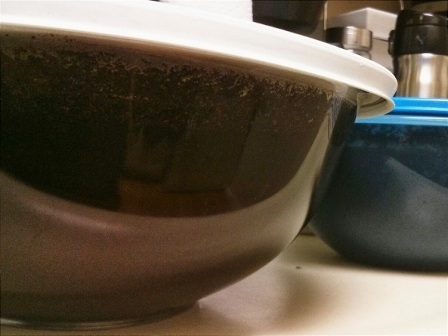 I dump two heaping 1/8 cup coffee grounds into a large mixing bowl that I can cover later because I’ve been gifted with mixing bowls with lids. 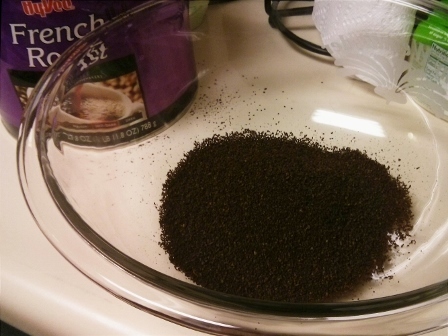 Fill the bowl with water, mix water and coffee grounds, and throw lid on bowl. 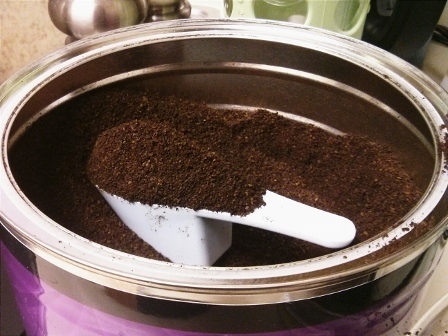 Let the coffee grounds steep for eight to 12 hours. I usually make a batch in the evening and let it steep overnight. 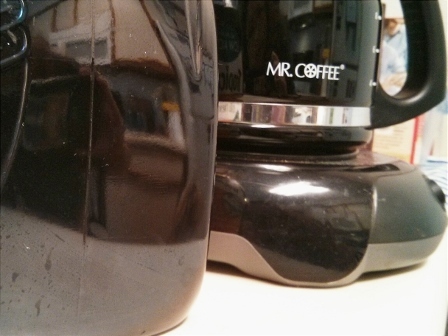 In the morning, I prepare the coffeepot as if I was going to brew coffee. 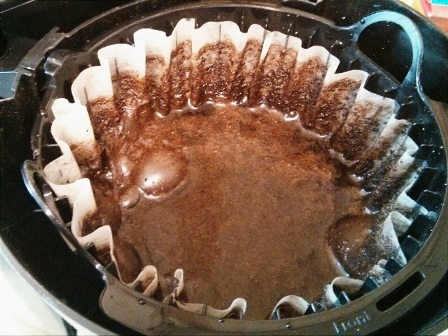 With the glass pot in place and the coffee filter in the basket, I simply pour the water-coffee mixture into the lined basket. The yummy goodness drips into the pot, and the filter catches the grounds. Once the pot is filled with my delicious iced coffee, I store it in a pitcher in the refrigerator. I can drink the iced coffee with or without my ice cubes. All I need to do is mix in sugar and milk, and I’m ready to indulge in my own iced coffee. What I love about this method is I’m using items I already have. I don’t need anything special. Some recipes or some people need a fine mesh strainer, cheesecloth, and a gigantic plastic tub to make iced coffee. 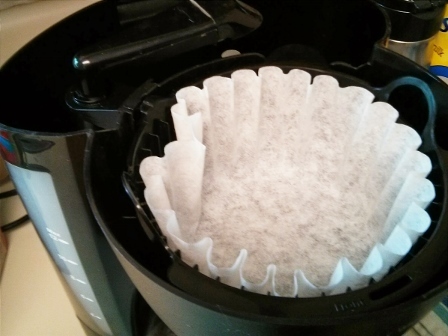 Instead of using a fine mesh strainer and a cheesecloth, why not use a coffeemaker? I’ve tried the strainer and cheesecloth method, it can get messy really quick. Plus, patience is required and sometime double filtering is necessary.